Katz & Dogs Animal Hospital is committed to providing the most up-to-date pet health care and high-quality service to our patients, clients and the community through our highly trained and educated staff. Katz & Dogs Animal Hospital seeks to be a valuable resource to the community and a leader in pet health care. 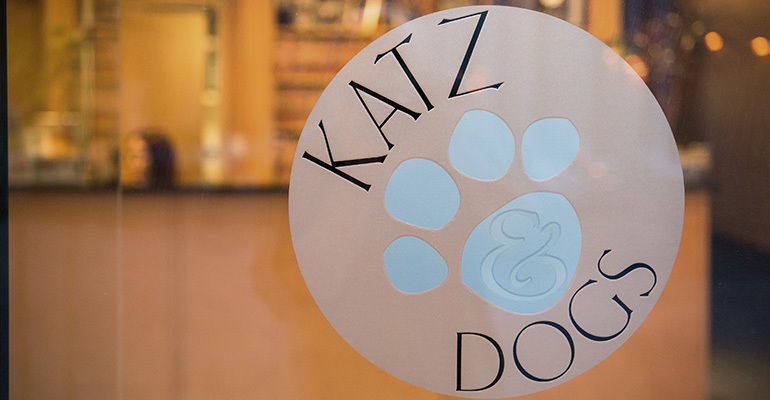 Katz & Dogs Animal Hospital is a state-of-the-art veterinary facility in Upper Montclair, New Jersey. The hospital uses the most current design ideas and veterinary equipment to bring comfort and the highest level of care to our patients. The hospital offers an array of amenities including separate waiting areas for cats and dogs, four exam rooms, a surgical suite, a radiology suite, a large treatment area, an oxygen cage, an isolation ward, a dental area, euthanasia room, a full in-house pharmacy and separate hospital areas for dogs and cats to provide the utmost comfort to pets during their visit. Dr. Katz’s retriever mix, Sarge, enthusiastically greets hospital visitors – a role previously filled to near perfection by her dog, Yophie (1996-2006).